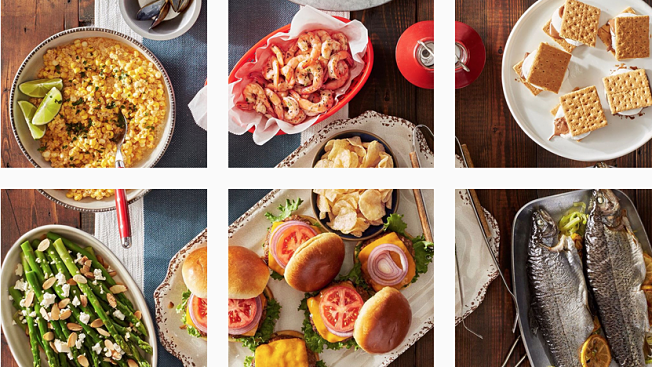 Foodies are already some of Instagram's heavy hitters, so Reynolds turned its account into a giant dinner table by stitching together glossy, overhead pictures that take advantage of the app's grid layout. This year, Reynolds and Havas Chicago plan to make eight dinner tables, each of which is made up of 21 dishes. Each uploaded photo links to another Instagram account that lays out all of the individual ingredients in a dish and features a link to the Reynolds website with the recipe. For example, clicking on a recipe for a strawberry crumb bar directs users to an Instagram account with pictures of strawberries, flour, sugar and eggs. Each table is planned around specific themes like back to school, summer, Halloween and Thanksgiving. Per Havas, the elaborate Instagram work is Reynolds' biggest campaign this year and is being promoted with print, online videos and social media posts on Facebook and Pinterest. Twenty-one popular bloggers and Instagrammers like Joy the Baker, April Bloomfield and Beth Kirby have also been hired to back the aluminum foil brand. Next month's table will include pictures snapped from a dinner party the brand hosted for the influencers.